In recent decades, data-driven analysis of crime and intelligence has emerged as an effective method for solving and preventing crime. A law enforcement officer’s ability to use logic, deductive reasoning, and proven scientific methods can save countless investigative hours and greatly increase the credibility of the department. 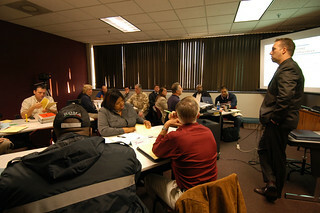 To prepare law enforcement officers to analyze crime and intelligence so that they may effectively develop criminal profiles, identify existing and evolving patterns of crime, establish links between participants in a conspiracy, and prepare and organize research for a multitude of departmental functions, GPSTC, in conjunction with the Alpha Group Center for Crime & Intelligence Analysis, offers a Crime and Intelligence Analyst training program. This program thoroughly prepares its graduates to manage complex data to support criminal investigations. Completion of the Crime & Intelligence Analyst program leads to certification as a crime and intelligence analyst through the California Department of Justice.